whichever is the lesser, and all of the relevant service was after 3 September 1945. 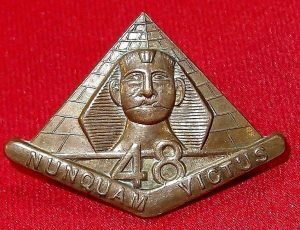 The medal is cupro-nickel. 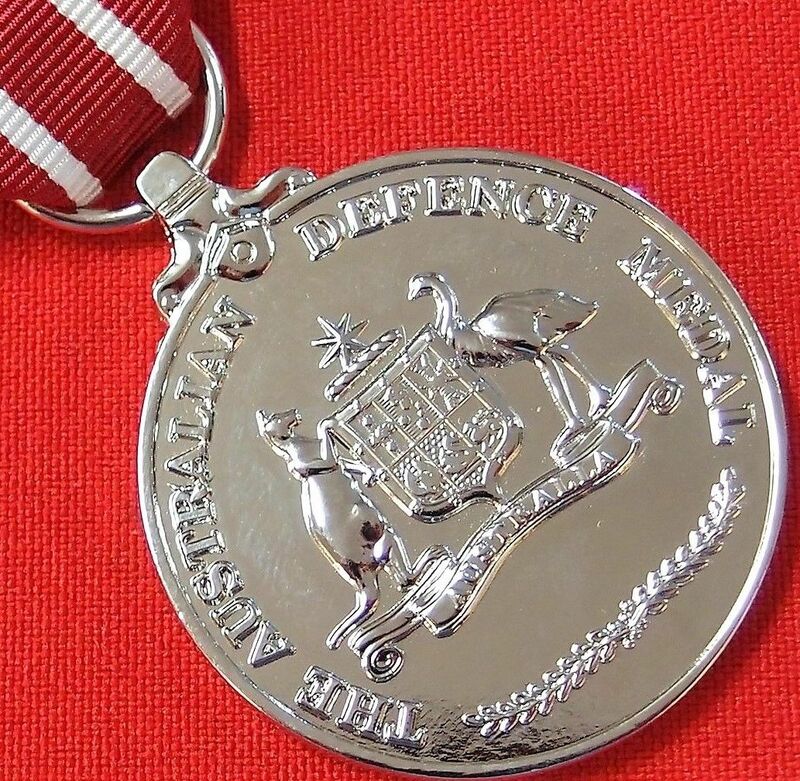 The obverse has a stylised version of the Commonwealth Coat of Arms as used on the Australian Service Medal 1939-45. This is surrounded by the inscription ‘THE AUSTRALIAN DEFENCE MEDAL’ above a sprig of wattle. 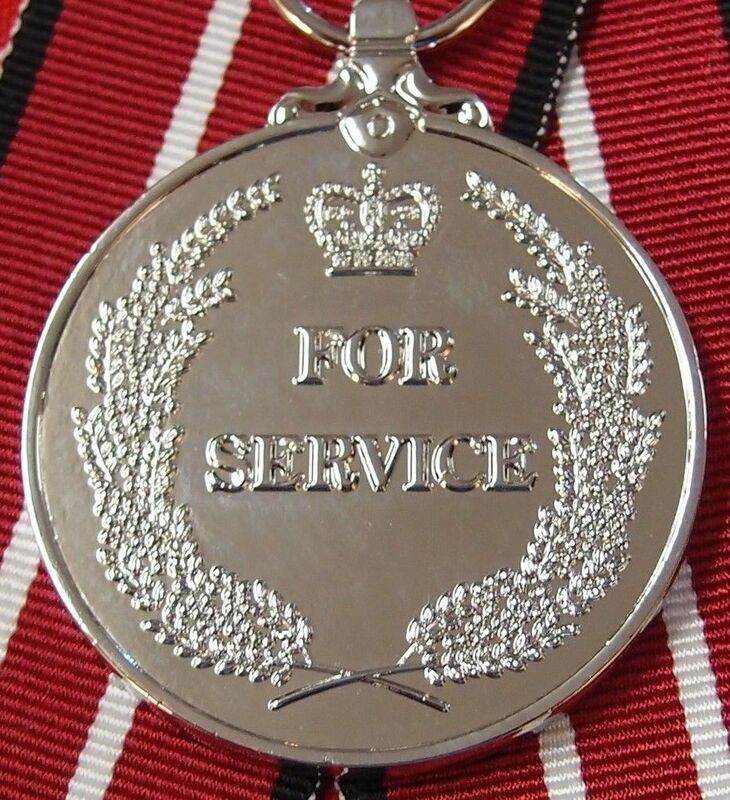 The reverse has the inscription ‘FOR SERVICE’ below the Crown of St Edward all surrounded by a wattle wreath. 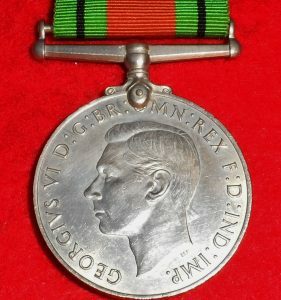 The use of the wreath acknowledges the sacrifice of those who have died in service or been discharged due to injury resulting from service, a secondary qualification for the medal. The ribbon is red with black edges, the colours of the Flanders poppy that represent the Anzac spirit of the Australian armed forces. 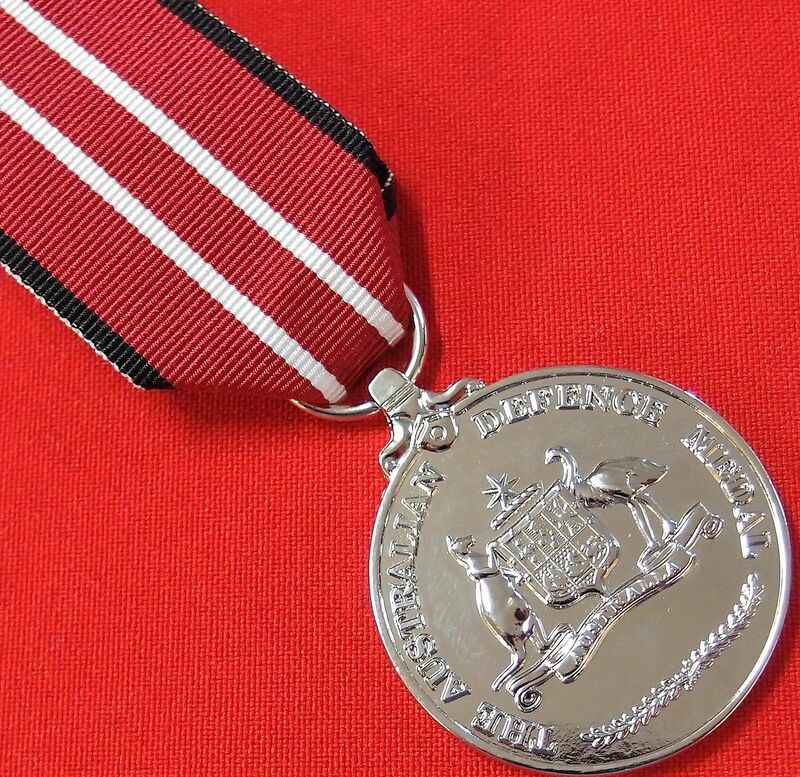 The white stripes divide the ribbon into three, to denote the three Services and also represent service contributing to the peace of Australia.